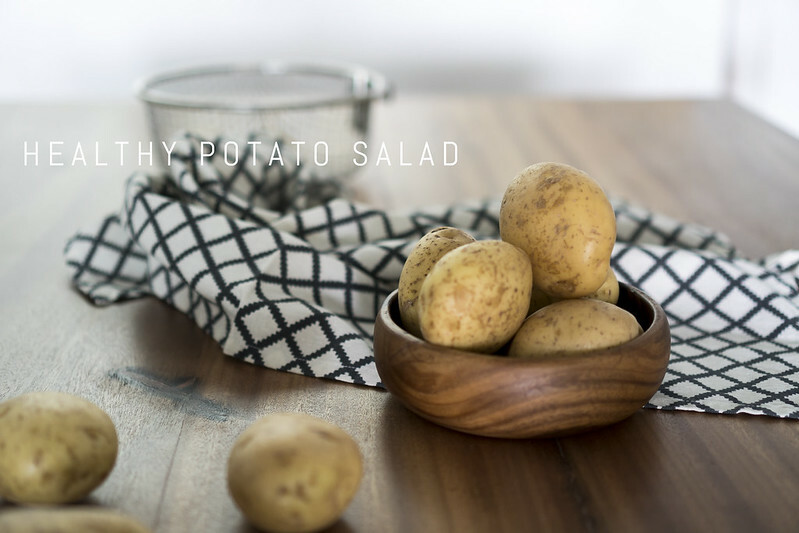 HEALTHY US POTATO SALAD RECIPE - VEGETARIAN FRIENDLY! Potatoes have been getting a bad rap and it's not fair. Contrary to popular belief, they aren't unhealthy at all. In fact, potatoes are packed with essential nutrients that are vital for athletes in training and those who live an active lifestyle. When I used to wakeboard regularly, we would always cap off our sessions with a banana shake - for potassium which is known to aid in muscle hydration and recovery. We were always told to stay away from potatoes because they're fattening, etc. I don't know where the hate is coming from. Seriously guys. Why give a vegetable such a hard time? It's not the potato that's the problem, it's how you cook it. In fact, I have just found out that potatoes contain more than 2x potassium than bananas. Yes. A banana only has about 422mg while a single potato is loaded with more than 1000mg! AND, they're not fattening at all. 1 serving ONLY contains 110 calories. Aside from that, it also has the highest score per peso on these 8 essential nutrients: fiber, vitamin C and E, calcium, iron, magnesium and yes, potassium. SO STOP DEPRIVING YOURSELF OF SUCH A GOOD VEGETABLE! Now that's it's summer and the temperature's been soaring, I hardly ever feel like having a full meal. It's just too hot...to cook and to eat! So I'm sharing with you an easy recipe that you can whip up in minutes. It's filling, refreshing and best of all? It's made with our favorite vegetable! 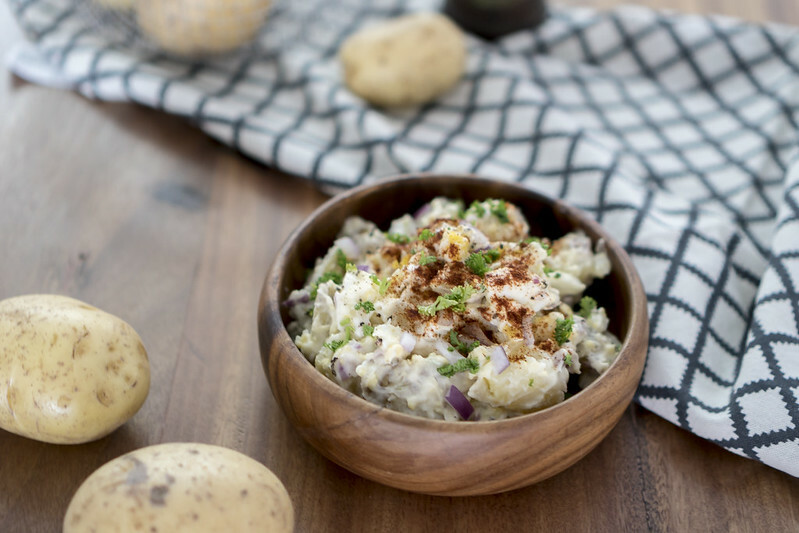 Here's a healthy variation of our well-loved potato salad. Wash potatoes and cut into bite size pieces. Leave the skin on and pre boil in salt water. Once they soften, remove from heat and let cool in refrigerator. Once cool, toss in eggs, parsley, and onions. Add mayo and a bit of truffle oil (according to your taste). Season with salt, pepper and paprika. Store in refrigerator. Tip 1: Make a big batch since it can keep for several days as long as stored properly. Allow the flavors to blend a day in the refrigerator before serving. By then it would've seeped into the potatoes for a truly delicious salad. Tip 2: Carnivores can add boiled chicken breast or shrimp!